At Tapalian Law, our Rhode Island car accident lawyers talk to many people who have been injured in a car accident. Like anyone who was just hurt in a crash, they have questions about what to do next. The personal injury firm of Tapalian Law is here to help you get the answers you need and to help you get the compensation you deserve for your injuries, losses, and pain & suffering. As car accident attorney’s serving Rhode Island, Tapalian Law works on a contingency basis, which means we don’t get paid until you win your case. If you are injured and cannot come to us, we will visit you at your home or in the hospital to offer you a free consultation about your legal rights. The consultation is free, there is no obligation, you don’t pay until you win. This really is a win-win situation, you have everything to gain and nothing to lose. Contact a RI Auto Accident Attorney today. After a car accident, you will be contacted by an insurance adjuster pretending to act on your behalf in this matter. Please keep in mind that the adjuster works for the insurance company that provides coverage for the person responsible for the accident, and they are responsible for reimbursing you for your damages. Remember, an insurance company makes their money by collecting premiums, not by paying out settlement claims. They are going to offer you as little as possible to see if you’ll take the bait. Don’t do it. Don’t sign anything before you talk to an experienced RI car accident attorney at Tapalian Law. We offer a FREE consultation to help you make an informed decision before you hire a lawyer. 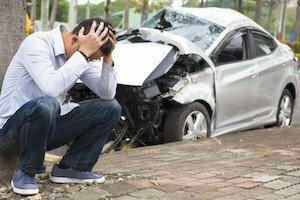 Why Should You Hire a RI Car Accident Attorney After a Car Crash? Because you’re in a legal fight with an insurance company that has a team of lawyers protecting the corporation’s interests. Without proper legal representation, how is this a fair fight? It’s not! The Rhode Island personal injury attorney’s at Tapalian Law look out for your rights, and fight back against big insurance companies. We fight this battle every day for our clients. Put our experience to work for you. If the accident wasn’t your fault, you may be reimbursed for medical bills, property damage (like fixing your car), lost wages, and pain & suffering. A recent study done by the Insurance Research Foundation found that people who hire an injury attorney typically get three times the settlement amounts of those who fight insurance companies alone. The RI accident attorney’s at Tapalian Law will examine the encompassing facts, assess your claim, determine who is responsible, and create a plan to make certain you have the strongest case possible for your claim. Establishing proof in your car accident case is essential. A highly-knowledgeable personal injury lawyer experienced with car accident claims knows how important it is to establish witnesses, consult with police officers, and if need be, obtain accident reconstruction experts. After liability has been determined in a car accident case, the next stage is to demonstrate proof of, explain, and measure the significance of the personal injuries incurred. 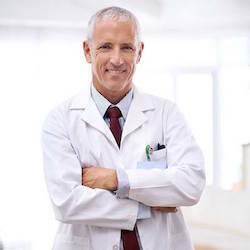 Our RI personal injury law firm has extensive contacts in the medical community to assist our clients in documenting the gravity of the injuries occurring from the car accident. Even a seemingly simple car accident injury claim can become complex quickly. Rather than risk making a mistake that could hurt your chance at recovering compensation, put our legal experts to work for you. It is essential that measures be taken promptly to preserve evidence, investigate the accident in question, and file a lawsuit before the deadline imposed by the statute of limitations. If you or a loved one has been injured, don’t delay. Contact personal injury Attorney David Tapalian today for a free legal consultation concerning your Rhode Island auto accident or Massachusetts car accident. There is never a fee or cost to you unless we are successful. We will help you so that you understand your rights and obligations under the law.